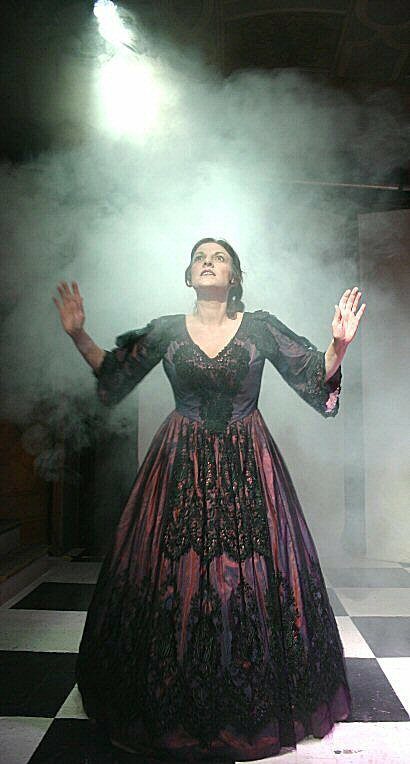 In 2005 I was asked to produce a website for the professional production of a play about Brunel and his wife (Brunel Structures) and as my biography entry in the program notes below says I was "seduced by the opportunity to design lighting for the play itself which proved irresistible ". The picture on the right is from a scene where Mrs Brunel recalls visiting Brunel's tunnel under the Thames at Wapping. The play was originally called Structures but this was later changed to be The Engineer's Corset. Co-incidentally Les worked as a railway signalling engineer for several years after leaving Manchester University, where he gained his first experiences as a lighting designer, including a tour round France of The Taming of the Shrew. During the 70s and 80s Les was one of the regular lighting designers at Questors Theatre with shows ranging from classics such as Anthony and Cleopatra, and The White Devil to more contemporary works such as Butley, and What The Butler Saw. 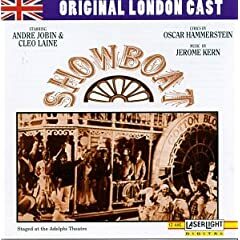 The previous time I had worked professionally in the theatre was in 70's between university and my first full time job, when I worked as a stagehand for the get-in and first few months of the 1971 production of Showboat at the Adelphi theatre with Cleo Laine, Thomas Carey and Lorna Dallas.